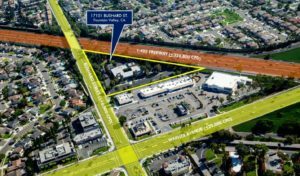 335 feet of San Diego (405) Freeway frontage, which is ideal for companies seeking high profile exposure to over +326,000 cars per day. 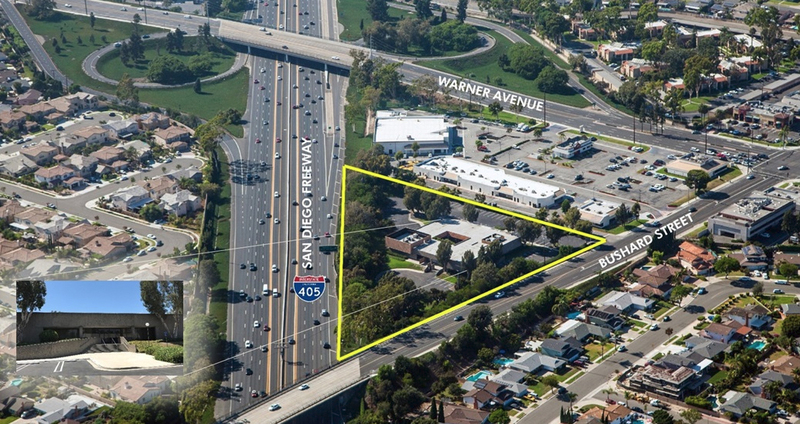 One of the only available freeway frontage properties available for redevelopment in Orange County. Triangular parcel is ideal for Corporate Office Headquarter redevelopment. 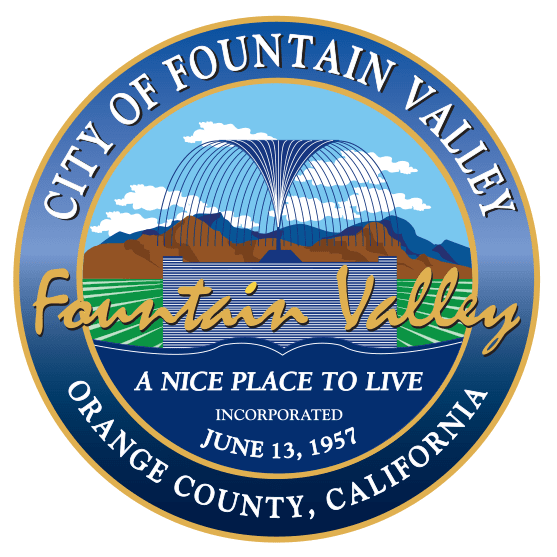 City of Fountain Valley development guidelines allow for up to .50 FAR (Buyer could build up to 62,290 SF of office) and four (4) stories. 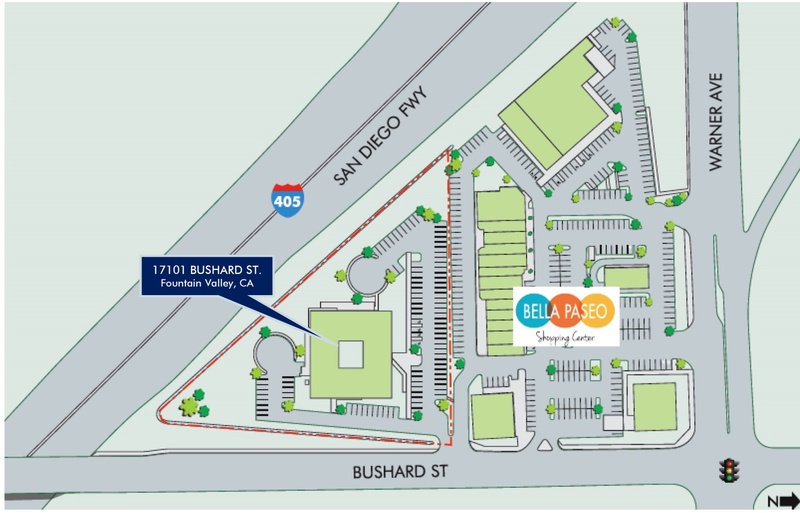 The adjacency to the 53,530 SF Bella Paseo retail center provides convenient access to four (4) restaurants including Sizzler, Del Taco, Mel’s Diner and Mangiamo Gelato Caffe and many retail services including: Anytime Fitness, Sunrise Supermarket, Café & Té and more. Excellent access to the San Diego (405) Freeway via the Brookhurst Street and Warner Avenue on and off ramps. Site zoning (C1 –Local Commercial) allows for a wide-range of uses including general retail services, commercial offices and medical office/clinic/labs. Conditional uses (CUP required) include hotel/motel, churches and assembly halls, animal hospitals and boarding, extended care medical services, child day care, schools and fitness centers. Other potential uses for the property include residential (single-family, condo and multi-family), senior living, including assisted living and memory care. These uses may require a General Plan Amendment, Zone Change and Specific Plan for the site. Due to the low site coverage (13%), the property is ideal for high-density occupancy uses that can utilize the abundant parking.